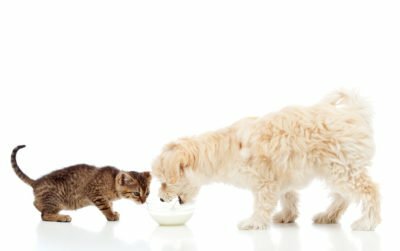 Lately, there has been a lot of marketing of “natural” pet foods. It seems like every time you turn around there is another “natural” food on the market. Consumers should know that not all foods labeled “natural” are the same. Here are some helpful definitions so you can choose the right products for your pets! AAFCO is a board of officials, made up of CEOs and other upper management employees from large conglomerates, who represent your grocery store and Big Box Company food brands. They merely approve foods they want on the market, and diets that they see fit. This list is just the beginning of non-natural ingredients found in your “natural” pet food. We believe in small, family- or self-owned companies that produce high-quality foods under strict regulations and standards, and that “natural” means looking at pets holistically. We also believe that each pet is an individual and there is not one food that works in every situation. Raising a healthy pet starts with nutrition, which is why we diligently research the brands we carry. Simply stated, we trust our brands and the products they offer.